How to be at your best in changing situations. Thriving in Chaos challenges participants to be at their best in challenging situations. Apartment owners and managers are on the front lines of challenging situations – keeping residents happy, attracting new residents, solving maintenance problems…the list goes on. How we react can be the difference between success and failure, and determine whether our team comes together or falls apart. Learn strategies to adapt your thoughts and plans on a moment’s notice, lead through uncertainty, and thrive in chaos. Understanding and clarity on how your thoughts, actions and language influence others, and impact your ability to participate and thrive in chaos. A tested framework to prepare yourself and your team to thrive in chaos, no matter the environment. Tools and exercises you can immediately use to engage and inspire both yourself and your team regardless of the situation. Want new ways to collaborate with others effectively. Want to increase their effectiveness working within organizational change. Seek to enhance the effectiveness of their communication. 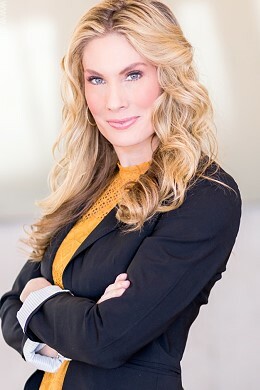 Corinne Hancock was on the front lines, building teams in high-pressure, stressful situations around the globe as the Director of Clinics for Project CURE, and as a State Department leadership coach. She brought together multi-generational, multi-cultural teams to open clinics and deliver medical care in some of the most remote locations on the planet.